Editor’s note: Last week, the “Dearborn Historian” quarterly journal (circulation 230) published a 3,700-word examination of auto pioneer Henry Ford’s campaign a century ago to foment anti-Semitism far beyond his hometown. 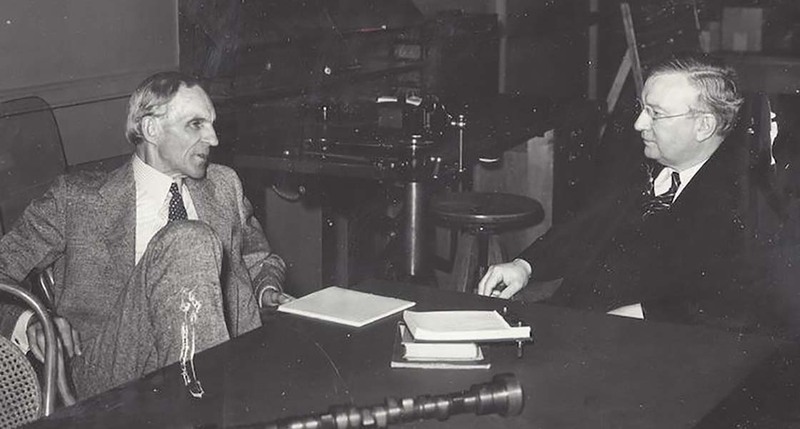 Bill McGraw, the Historian’s editor, chronicled how attacks on Jews by the Ford-owned Dearborn Independent newspaper influenced Adolf Hitler and have since found a receptive audience in neo-Nazis and white supremacists today. This is not the only recent instance in which a public official sought to squelch an article they found uncomfortable or “off message.” In June, then-Michigan State University Acting President John Engler ordered MSU’s alumni magazine to scrap a cover story on the psychological wounds stemming from the school’s inaction after several women reported being sexually assaulted by Dr. Larry Nassar. Engler had the story revamped to focus on “positive” reforms since he took office. Bridge Magazine supports efforts to ensure that serious journalism finds a broad audience in Michigan. McGraw, a former Bridge writer and member of the Michigan Journalism Hall of Fame, offers a fascinating portrait of an iconic Michigan figure, warts and all. Bridge is proud to follow Deadline Detroit in republishing McGraw’s account. Henry Ford was peaking as a global celebrity at the conclusion of World War I, having introduced the $5 workday, assembly line and Model T ‒ revolutionary changes that transformed the way people lived. Reporters staked out the gates of his Fair Lane mansion. Ford loved the limelight and he constantly made news, even running for the U.S. Senate in Michigan as a Democrat in 1918. He narrowly lost. Under Ford, the Independent became notorious for its unprecedented attacks on Jews. But Ford’s anti-Semitism traveled far beyond the Dearborn borders. Showing the marketing expertise that had catapulted Ford Motor into one of the world’s most famous brands, Henry Ford’s lieutenants vastly widened the reach of his attacks by packaging the paper’s anti-Semitic content into four books. What might have been lost to history as an ugly curiosity has proven to be a Pandora’s box, as the Internet age has given Henry Ford’s anti-Semitic literature a powerful new life. Today, his legacy of hate flourishes on the websites and forums of white nationalists, racists and others who hate Jews. 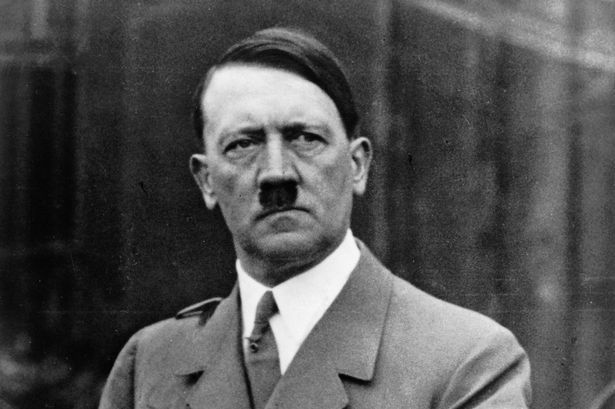 Experts say “The International Jew,” distributed across Europe and North America during the rise of fascism in the 1920s and ‘30s, influenced some of the future rulers of Nazi Germany. Ford’s anti-Jewish campaign provoked protests and a boycott of Ford Motor automobiles in the 1920s. Ford offered an apology ‒ received by the public with great skepticism ‒ and closed the paper in 1927. 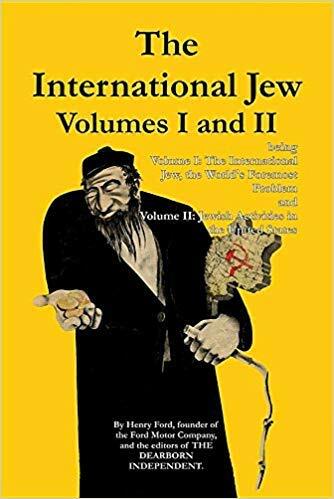 It was too late, though, as copies of “The International Jew” spread widely before and after World War II, influencing generations of anti-Semites. The glowing imprimatur of Henry Ford lent credibility to the preposterous charges against Jews the books contained. But what might have been lost to history as an ugly curiosity has proven to be a Pandora’s box, as the Internet age has given Ford’s anti-Semitic literature a powerful new life. Today, a century after Ford purchased the Dearborn Independent and 72 years after his death, his legacy of hate is stronger than ever ‒ it flourishes on the websites and forums of white nationalists, racists and others who hate Jews. Hot water: The latest issue of The Dearborn Historian, which is city owned, did not please Mayor John O’Reilly. And then there are the ads. After I explored the availability of Ford’s anti-Semitic books on Amazon in connection with this story, ads for “The International Jew” by Henry Ford began popping up on my Facebook page. They appeared next to ads for what I was actually shopping for ‒ a winter coat. The Independent carried a weekly column by Ford ‒ verbosely ghost-written by Cameron – that filled “Mr. Ford’s Page.” Ford commented on many everyday subjects, but virtually never used his column for the most blatant anti-Semitic content. The Independent’s attacks on Jews ran separately, often starting on page one, almost always without a byline. Beginning with the issue of May 22, 1920, Ford found his target. That issue of the Dearborn Independent kicked off a 91-week campaign of insults, criticism and lies directed at Jews from Dexter and Davison in Detroit to Krakow, Poland. The Independent ‒ put out by Henry Ford, Dearborn-born and bred, legendary Tin Lizzie wizard, American folk hero and one of the world’s richest men ‒ shocked Jewish Americans and many other citizens of diverse backgrounds. It wasn’t long before they began to counterattack. The Independent was controversial from coast to coast in its day. As the Independent launched its anti-Semitic campaign and sent the paper, unsolicited, to libraries and schools across the nation, protests broke out. Some cities attempted to ban the paper, but such moves raised First Amendment issues. Jews organized Ford Motor boycotts. Former President William Howard Taft, a future U.S. Supreme Court chief justice, slammed Ford in a speech. Later, he joined outgoing President Woodrow Wilson and dozens of other VIPs in signing a petition that denounced the Independent. The anti-Semitic rantings of Ford’s newspaper about a global Jewish conspiracy found an audience far beyond Dearborn. Adolf Hitler kept a portrait of Ford in his office. Ford, freed from being forced to testify under oath, a position from which he had embarrassed himself in the past, issued an apology to Sapiro and eventually settled out of court with him. Ford also took back all of his attacks on Jews and withdrew “The International Jew,” though that proved to be much easier promised than done. In his apology, Ford called himself “deeply mortified” by the attacks, but blamed underlings, denying he knew about the articles in advance. He relieved Liebold and Cameron from their posts at the Independent, but kept them on the company payroll for years. Few close observers ‒ or average Americans ‒ believed Ford was so removed that he hadn’t been aware of prominent articles in his own newspaper that had sparked an international outcry. Why did Henry Ford ‒ the entrepreneur Fortune magazine in 1999 named “Businessman of the 20th Century” ‒ spend so much time and money attacking Jews? Searching for clues, because Ford never discussed his anti-Semitism in depth, historians often have focused on his childhood amid the farms of what are now the streets of east Dearborn. While only a long walk from Detroit in the 1860s and ‘70s, Ford grew up isolated from Jews and most other minorities, and 19th-Century rural America was a place where ancient Jewish stereotypes were widespread. One leading Nazi, Baldur von Schirach, the Reichsjugendführer (Hitler Youth leader) in the 1930s, became an anti-Semite after he read “The International Jew” in German, von Schirach testified at the Nuremberg war-crime trials. Found guilty of crimes against humanity for helping to send thousands of Viennese Jews to their deaths, von Schirach served 20 years in Spandau prison. The golden Maltese cross, surrounded by four small swastikas, was presented to Ford in Ford Motors’ Dearborn offices by Fritz Haller, the German vice consul in Detroit. Or perhaps anti-Semitism infected him to the bone, and his apology was as cynical as it seems to many. What we do know is that this chapter of his life, which lasted less than a decade, reverberates a century later in a crude hatred that seems impossible to eradicate. It’s an ugly side of the patriarch of one of America’s greatest families and founder of one of its best-known companies. And Ford also segregated Detroit that why you have Pole town, mexican Village and so on!!! Henry Ford has been dead over 70 years. So what. The illustration of the impact that a hate monger can have on the well-being of a community, a nation, the world, is why this story is important and relevant. I agree. This may have occurred several years ago, but the hateful writing is still being circulated. Arjay: What's your point here? That an inconvenient history isn't relevant to today? Most Jews already know about Henry Ford but I'm heartened to see this article in print in 2019 when anti-semitic violence is on the rise in the US. A knowledge of history is what gives us the judgement to make wiser decisions in the present. And today people are still spreading the lies from Protocols of the Elders of Zion, a book that probably would have been quickly forgotten if Henry Ford hadn't translated it into English and published it himself. Well Arjay, If you haven't noticed the effects of this vast discrimination and prejudice on Jewish people I don't know what to do with you!!! Just look at the their lack of education, drug addiction, poverty, imprisonment, single parent families and powerlessness. Stupid errors have an eternal life. He was wrong. Just because some one says to jump off a clif, see if there is a real danger or not. It is absolutely appalling that Dearborn's mayor banned this article from publication. While I was aware of Ford's anti-Semitism, I had no idea of his virulent beliefs and the extent to which his writings both influenced Hitler et al and continue to have an impact today. As for Arjay's comment, it sounds like he would have no interest in the Bible, since everyone mentioned in it has been dead for at least 2,000 years. This is so news to me. As an outsider residing in Michigan these last four years, I do not know enough about the state history. All historical influences on our institutions need to and will become known. They help us understand what happens today. Lets get something going to get Bill McGraw's job back. And we need to find out what the Dearborn mayor fears. The weasel will pop out of the box anyway. I am in my 60s and Jewish, and I first learned about Henry Ford's raging anti-semitism as a child, hundreds of miles away from Michigan. His relationships with Edison, Lindbergh, and Hitler may be news to non-Jews, but not to those of us who continue to be both feared and hated because of our heritage. As the WaPo masthead says, "democracy dies in darkness." Thanks for amplifying this excellent piece. I've long appreciated Bill McGraw’s journalism endeavors. gift from Ford. 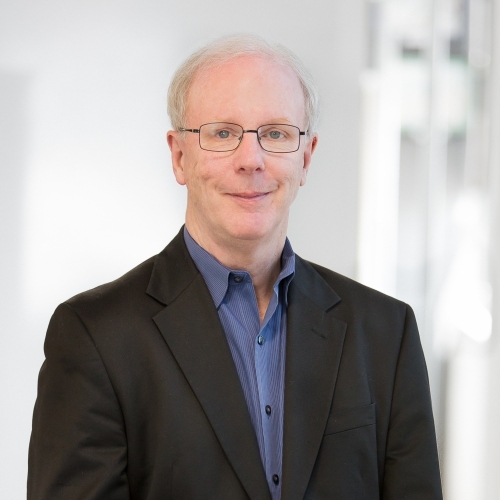 Many ideas attributed to Ford were echoed on radio every Sunday night by Coughlin. Ford didn’t necessarily need the print media, he had Coughlin who eventually was forced off the air. The Radio priest was silenced, but his ideas, along with Edison and Ford are fodder for today’s hate as well. I’m glad you mentioned Fr Coughlin. He was pretty much the equivalent of Rush Limbaugh in popularity back in the day. He should have been mentioned in the article as an antisemite who had tremendous influence along with Ford. Sadly, my late parents mentioned him often; they also held antisemetic views. Thank you. This is important to understanding our history and our present. A very interesting piece. Thanks to BRIDGE for sharing this story with its readers. Thanks for writing this, Bill McGraw. It's an important story, while not pretty, definitely needs to be told. Why are we so afraid and want hide our history? We need to learn from it. Germany, South Africa and other counties lead the way in acknowledging and owning the good and the bad. I own and have read the book, Henry Ford and the Jews, written in 2001. It's a great source if you'd like to know more. I was surprised that this article didn't mention the fact that Henry Ford paid to translate, publish, and distribute Hitler's Mein Kampf. Seems like a detail that would have fit nicely here. Why does the headline assert that "Dearborn" didn't want this story told? The one and only person who wanted this story killed is the mayor. But with his silence he's allowing the rest of the world to believe conspiratorial nonsense about our city's Muslim community being responsible for this disaster when it was his decision and his alone. Muslims here are out of the equation, i am not sure why would you inject this statement in such matter. I think the point in which the Mayor had issue with this article was it was the 100 year anniversary edition of the paper, and a positive noteworthy cover story about how today's Ford Motor Company survived the most recent economic challenges without a government bailout and in working with it's workers and union to survive. Or maybe a piece about Ford's positive influence on reinventing it's image with a redeveloped campus and the rebirth of a vibrant downtown for Dearborn. I personally understand the importance of having us know the ugly history of Henry Ford, but I don't think a celebration of that ugliness in the 100 year anniversary edition is the place it belongs. With all the hate and ugliness in the world today we don't need to bring more hate to Dearborn when we are such a great example of diversity Today! For the record I read the entire article and it is newsworthy, however it is written from a singular perspective. The story should be told and heard, but not in a celebration of city or a paper with such a wonderful future of diversity ahead. I do not believe this was an act of censorship by the Mayor, rather it was an act of sensibility. I applaud the Mayor. If wanting a positive story for the centennial was the only motive for killing the story, there was no need fire McGraw. want too hear about, what they love and want to relish about our wonderful city of Dearborn that we are proud to call our hometown. The author missed a wonderful opportunity to deliveror an exciting 100 year anniversary paper that brought positive attention to the inspirational city of Dearborn which happens to be a successfully diverse community with heart and soul. There are hundreds of positive natured topics in which he could have used to deliver a celebratory anniversary edition that would reach a much wider audience this year than most. I am very disappointed that the author chose to use that opportunity to voice a political objective that doesn't serve our current residences in a positive way. It was a selfish act and not professional. I am glad he was fired. That story could have been told within the same issue to also bring attention to the dark past and how our city and the Ford company has evolved positively since that dark history. But to make such a dark and negative past the cover story... You're Fired. (Nope not a trump fan). The story and it's perspective and message is Not a representation of Dearborn, it's people, its government, or it's businesess. We have become a very diverse city of people from so many corners of the world. Ford Motor Company is a company we are proud to call the headquarters of the company that brought personal transportation to the world yesterday and tommorow who has a diverse work force in the factory and in engineering and business. Did you know that we have become a diverse Dearborn that should be highlighted on the national stage as an example of how a whole community can evolve to become more accepting and neighborly over time. Nope, the author chose not to tell you that story. Oops. Disclaimer: I do not work for Ford, I do not work for the city, I don't know the Mayor, I am not a politician, I am a average middle of the road guy, Independent voter and military veteran who Loves being from Dearborn! This post is utterly revolting. I reject everything about it and the person who wrote it is a coward, just like the Mayor. It is truly sad that the Mayor of Detroit would encourage the suppression of information the public has a right to know. We can praise or ridicule many prominent citizens, but that should include a full picture of them as people. Whether you like the truth or not, it still should be told so others can form their own opinions. Henry Ford may be long dead, but it is wrong to paint a picture of him that does not include the whole truth. McGraw's article is very good but he failed to mention Aaron Sapiro, who sued Ford and , who put an end to Ford’s lies and caused him to issue a retraction. It's all detailed in the book, "Henry Ford And The Jews: The Mass Production Of Hate" by Neil Baldwin (PublicAffairs Press 2002). Also see "Aaron Sapiro" on Wikipedia. Also Ford Motor Co. has made fulsome amends to the Jews and should, by any standard, be absolved of any blame. Actually, David, the story mentions both points. What a total hack piece. I find it interesting that suddenly liberals care about anti-Semites while perfectly fine defending the likes of Farrakhan, Sharpton, Talib, and that woman in Minnesota who took the seat of the other anti-Semite Keith Ellison. The hypocrisy is waaaaaaay out of hand here. Liberals are a cancer to society. Last I checked, the Neo-Nazis and other reactionary scum vote exclusively Republican these days; with Trump and King saying the quiet parts as loud as possible, it's easy to see why. You don't care about antisemitism, you care about protecting Israel's apartheid state at all costs because of imperial force projection in the Middle East and harebrained Evangelical apocalypse prophecies. The projection is tiresome and as transparent as cellophane. No, liberals, conservatives, nor the green party are the enemy. Hate and a singular perspectives are the negative influence in our society. But we the people have the will and freedom to think independently and find commonality with our neighbor rather than establishing our opinions from media propaganda and then just regurgitating and spewing that same hate speech ourselves. Be human, get to know the people you judge, and maybe you might end up finding out that you have allot in common regarding many of the same important issues you are passionate about. Issues that matter to all of us average everyday people. I am both liberal and conservative. I like to think of myself as a green progressive conservative, aka an Independent Voter. This entire comment is all lies. No "liberal" has ever defended Louis Farrakhan, and Sharpton, Talib, Omar and Ellison aren't "anti-semites." Rewriting history with PC-Bull-Durham. The Dearborn Mayor O'Really (O'Reilly) should be horse-whipped with his old hair (yes, he's bald). We are shaming Ford on his thoughts against a certain group, BUT on the other hand, we are Praising George Washington who slaved nearly 350 humans as" salves ". "The Racist Right" huh. So the has proven to be above it how? Most people are far more complex than are represented by a single subject. Among the enumerable positive actions taken by Ford and not receiving much publicity is the elevator Henry bought and had installed for George Washington Carver in his advanced age when it was a struggle for him to climb the stairs at his home. I much prefer a more balanced account of a person's portrayal. Even while Henry was being awarded the Grand Cross of the German Eagle from Nazi officials, son Edsel was planning ways to prepare our country for likely war against those same Nazis. More than a year before Pearl Harbor, Edsel was hiring people to design and build the B-24 Liberator plant at Willow Run, and to convert additional Ford resources to military production. Ironically, Edsel's work led to an earlier liberation of Europe including the concentration camps. However the censoring of this article occured, Dearborn Michigan Mayor Bill O'Reilly has had this subject leap back into his lap. The virulence of hate is going to be exposed at every turn as some of the responses to this historical overview has shown. I believe an airing of the past is the only healthy way to forgive past misdeeds. I would like to thank Bridge for publishing Bill McGraw's excellent piece on Henry Fords antisemitism and giving it the exposure is so rightly deserves. Also I would like to shout out a special thank you to Dearborn Mayor John O’Reilly for his petulant act of censorship which gave this article more prominence then it would have originally had. By doing so he has helped educate us on the extent of Fords bigotry and its continuing ramifications up to the present day. That's not a legacy you'll find celebrated at the institution in Dearborn. One point of clarification, the complex in Dearborn is The Henry Ford - Museum, Greenfield Village & Rouge Factory. The mayor made an impulsive and bad decision and like many elected public officials who hold power, so far will not admit that he made a mistake, correct the error of judgment, and move on. What people can expect from the mayor is post-hoc rationalizations. As the saying goes, politicians never lie, they just misspeak. The mayor has diminished what is otherwise very good job performance.